Today, an icon for Final Fantasy XV Pocket Edition HD was leaked on the PS4’s PlayStation Store. 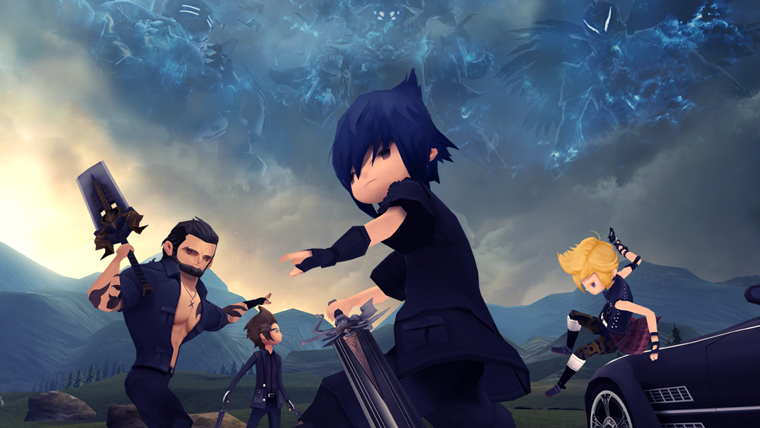 This is of huge significance as Square Enix has not announced a HD port for Final Fantasy XV Pocket Edition yet. As Final Fantasy XV Pocket Edition is currently available on smartphones, it could run on Nintendo Switch with little to no difficulty. The Pocket Edition is an abridged version of the more graphically demanding Final Fantasy XV, so don’t expect fancy graphics. With this listing leaked, the chance of seeing Final Fantasy XV Pocket Edition HD on Nintendo Switch have become high. Here’s a look at the icon in question. Will you play Final Fantasy XV: Pocket Edition HD if it comes to Nintendo Switch? Let us know in the comments below.